The call up for Teko “Navigator” Modise to the Bafana Squad to play with Niger on Sunday on the Afcon qualifier has raised eye brows to some soccer lovers, questioning his call up. Some believes he still needs to regain his form completely before returning to the national team. 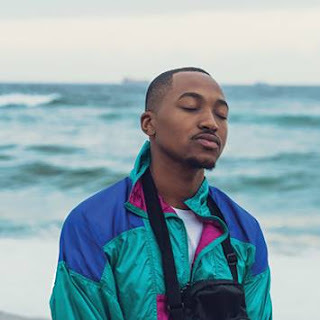 If you have watched this Soweto born star recently you will agree with me when I say he deserve a chance. 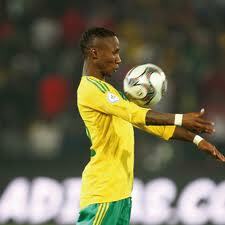 Critics on Modise’s performance started at the 2009 Confederation cup where he was slowly losing his touch. He made it again to the final selection of Bafana Bafana in the World cup, his performance was still questioned. As the results of the dropping performance his game time became less at Orlando Pirates. He then joins Mamelodi Sundowns. He has been slowly gaining his form at Chloorkop (where downs train). Teko’s performance against Orlando Pirates on the first leg of MTN 8 has showed he’s got potential on being the attacking Midfielder. He scored a beautiful goal in the following match against Moroka Swallows in the Absa premiership match. So do we really have to question his call up to the national team? Pitso Mosimane is the South African coach who believes in our South African football. I salute him for giving this 2009 player of the year a chance to revive his career. He is only 29 years old and there is still a lot he can offer. 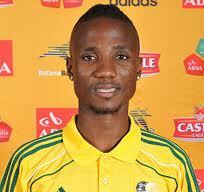 Addressing the media last week Mosimane said he is pleased with Teko’s performance lately. He said his performance is changing for the better. Modise will have all the time in the world to prove himself as the team is going through an injury crisis particularly in the midfield.Kagisho Dikgacoi, Steven Pinaar and Reneilwe Letsholonyane have all been ruled out ahead of the Bafana match on Sunday. The chief question asked in the South African trains and street is that, Can two games determine the player’s ability to play for the national team? Well we know what he can do for the on the field of play. He just needs support. It’s actually normal for the player to lose his touch. Wayne Rooney lost his form in 2008/09. Many thought it was over about his soccer career. As we speak Rooney is the man of the moment at Old Trafford. In 3 games that he has played he has scored five goals. If players are given a chance and support they can come back. Orlando Pirates Midfielder‘s form was once questioned to a point where he was loaned to Bloemfontein Celtic. Given game time in Bloemfontein he proved himself. His form is at the pick even now. The Navigator deserves the same chance, game time. He will eventually get there. All the eyes will be on him this coming Sunday when Bafana takes on Niger. Hopefully this time he will allow his precious boots to do all the talking in the field of play and nothing else.